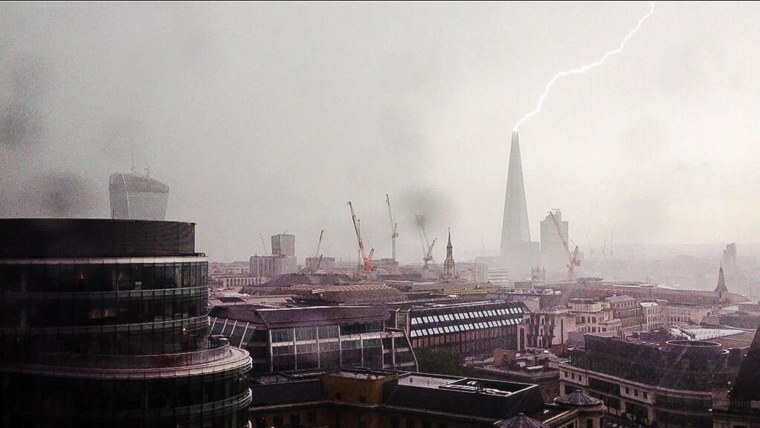 The Shard, a London skyscraper, captured the world's attention on Thursday after a dramatic photo posted on Twitter showed lightning striking the building. The Shard, which opened in 2012, is western Europe's tallest building. The skyscraper is 87 stories high and includes offices, restaurants, apartments and a hotel.